Thesis 2.1 is finally out, and it’s a feature packed WordPress theme now. All Thesis designers are happy with the new interface of Thesis and giving great review and feedback about it. For end users, customizing Thesis theme might not be that easy, so you can always grab available skin from the market. Do remember, Thesis is a powerful Theme framework, which is SEO-optimized, and highly optimized for loading time. 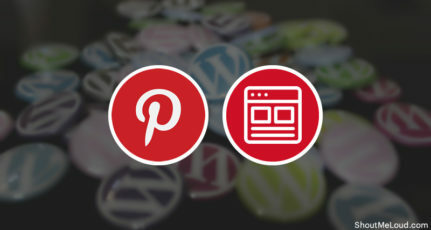 If you have Thesis license with you, then you can grab any of these beautiful looking skins for Thesis theme, and customize your WordPress blog in no-time. If not, you can grab Thesis theme now. When you buy a Thesis basic license, you get access to classic Thesis skin. If you are buying basic plus or developer license, you get social-trigger and personified skin. Here is the collection of best-looking premium & free Thesis skins. Most of these skins are compatible with the latest version of Thesis, and few of them are for Thesis 1.8. Grind is a full-responsive Thesis skin, which is perfect for product site. This skin comes with a slider, dynamic portfolio functionality with two-page templates. This is a featured pack skin for Thesis theme and Genesis theme. Business skin is a well-designed responsive skin for a business WordPress site. This skin comes with various templates (Blog, portfolio, landing page, testimonial page) and Opt-in form box is compatible with all popular Email marketing services. This is one of the beautiful looking skin for a blog, which is targeted to content marketing and Email capture. This is one of the popular skin. 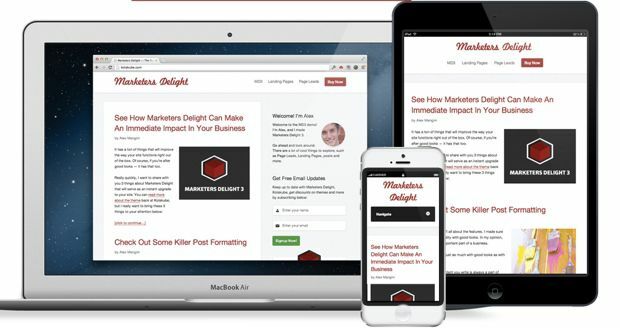 Marketer delight is a responsive skin, and it comes with 4 product page lead, which will ensure you capture your reader’s email every time they land on your blog. Build your own website is run by Rick Anderson, and he offers membership model, where you get access to all his Free and paid Thesis skins. Along with skin access, BYOB offers easy to follow extensive video tutorials, which teaches you how to customize Thesis skins. If you are more of a technical guy and want to do something different, you should definitely give a look to BYOB. 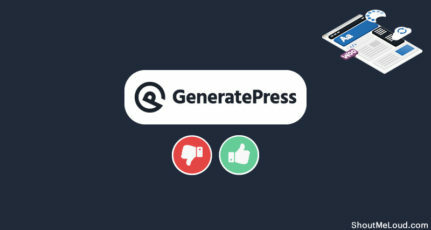 A traditional style magazine theme that lets your content shine and comes with a separately styled navigation menu for Thesis 2 or Genesis users. 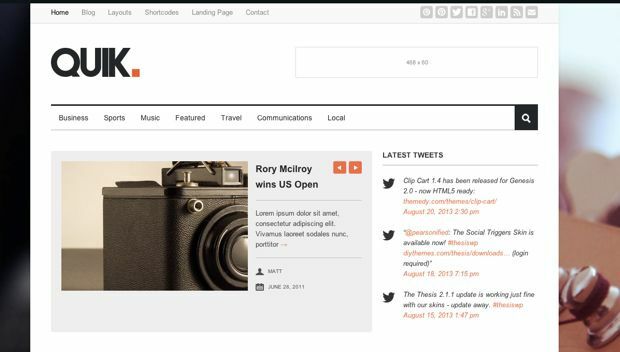 This theme is ideal for the internet, traditional businesses, organizations, marketers and news websites. The theme has a clean modern design and ample white space to launch your website. A perfect thesis skin for photographers to organize and showcase their photos. Freelancers can also use this theme and launch their portfolio online. 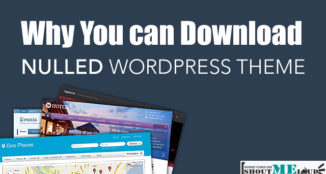 The theme comes with a brand new design and supports gallery and portfolio that helps you to show off your work without having to go to any third party plugins. It’s a great photography theme overall for any Thesis or Genesis user. Proof is an auto scrolling one-page customized retina ready Thesis skin that helps you sharing your articles alongside large responsive images. You don’t have to do any extra effort on your part if you are going with Proof. A worth trying theme with per-post color controls. The skin comes with a unique layout that looks great on tablets, desktop, and smartphones. Reactiv has got a unique layout and comes with tons of awesome features like responsive slider which can pull in posts or portfolio items and a couple of options for the navigation menu, standard and drop down. Note: Installation instructions are provided in the respective skin download pages. Do let us know which of these Thesis skins you liked the most and which one is most likely you going to suggest to others? Do share this collection of Thesis skins with your friends on Facebook and Google plus. I guess you have covered all the available themes in blogosphere Harsh. 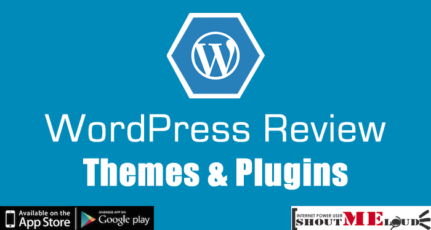 Blogussion is one of the best theme but it is not free. I know that you offer thesis customization. Why don’t you release SML thesis skin or something like that? Nice post but no use because thesis theme is not free and it doesn’t matter if the skin are free or not. I am thinking to try straight shooter to test on one of my blog. I just want to confirm whether its a good idea to have premium skin or free skin will do. What are the benefits of paid skins as compared to free one. Can you tell me which skin do you use? I think that the download link for A Bright Idea has expired, will you pleas upload it to a different location to make it available for download? wow….. i have thesis 1.8, but how to used it with thesis1.8..?? Nice list. This just shows you how versatile Thesis is. Theme “Thesis Bold” very cool, thanks! can you suggest a video or test source for tutorial? I won’t recommend to use Thesis theme any more, as the Thesis community is dead. Instead use Genesis theme. How about using Thesis skin, quick Magazine for temporarily. it looks cool for me. I also recommend to to stick with Genesis or other theme instead of using thesis! It’s era has been passed long ago! 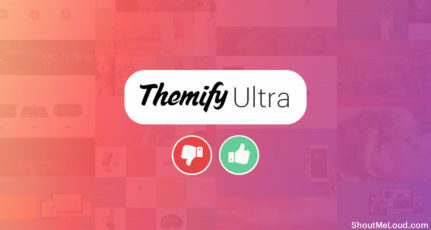 I appreciate you feed back but I think there is something that is better when you look at these themes they are just so attractive and there is much news about then. 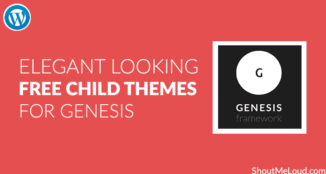 Ok leaving everything out does Genesis have SEO setting as it is with these themes ??? Thank you so much for sharing all this information I was still looking for theme that i will be able to use for my blog. Bust after reading your I guess I am finally there and looking at them that I ma ready to go for.. Looking for still some more information that will be of great help to all of us that are reading this blog post that you have shared for free.